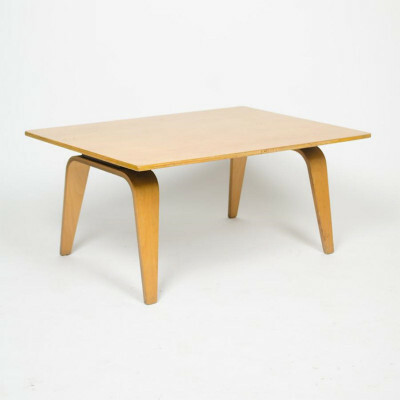 What was the Eames OTW plywood coffee table? 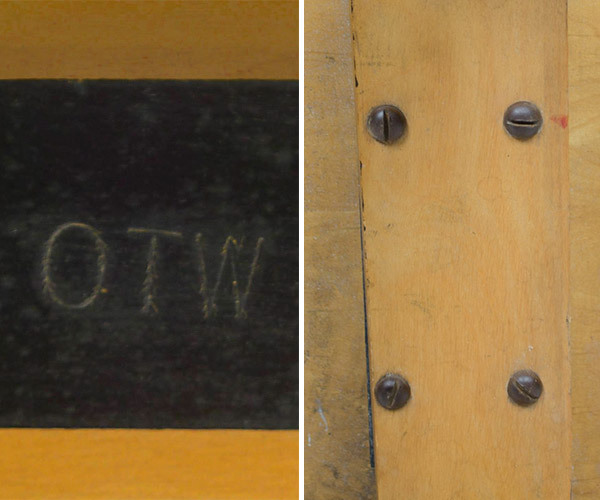 Released in 1946, OTW was the acronym for the Oblong (O) Table (T) with a Wood (W) base. The Eames OTW Table was first manufactured by the Evans Plywood Company from the premises of the Eames Office in Venice, California. 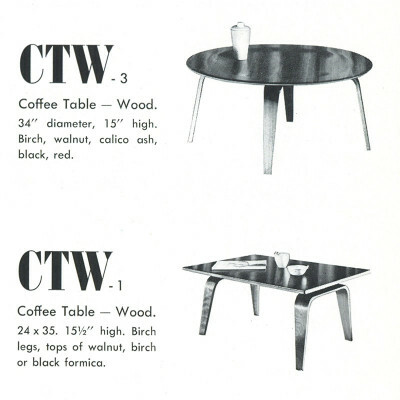 The table was actually first christened the CTW-1 (Coffee Table Wood), the same acronym letters as the circular table which was CTW-3 but the name was changed in 1950 to avoid confusion. Like all of the plywood furniture released in that first wave of Eames designs, the Eames OTW table was made with 5 thin layers of ply, fused together to create a strong and interesting new form. 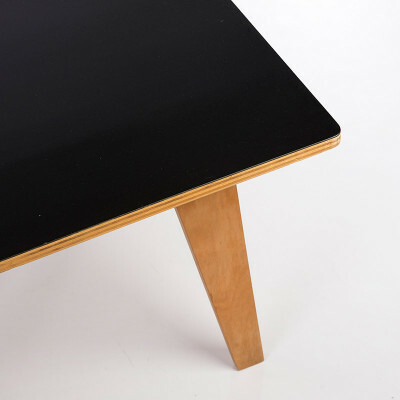 The tops of these Eames plywood coffee tables were made available with either a natural wooden veneer or a black plastic Formica for extra durability. 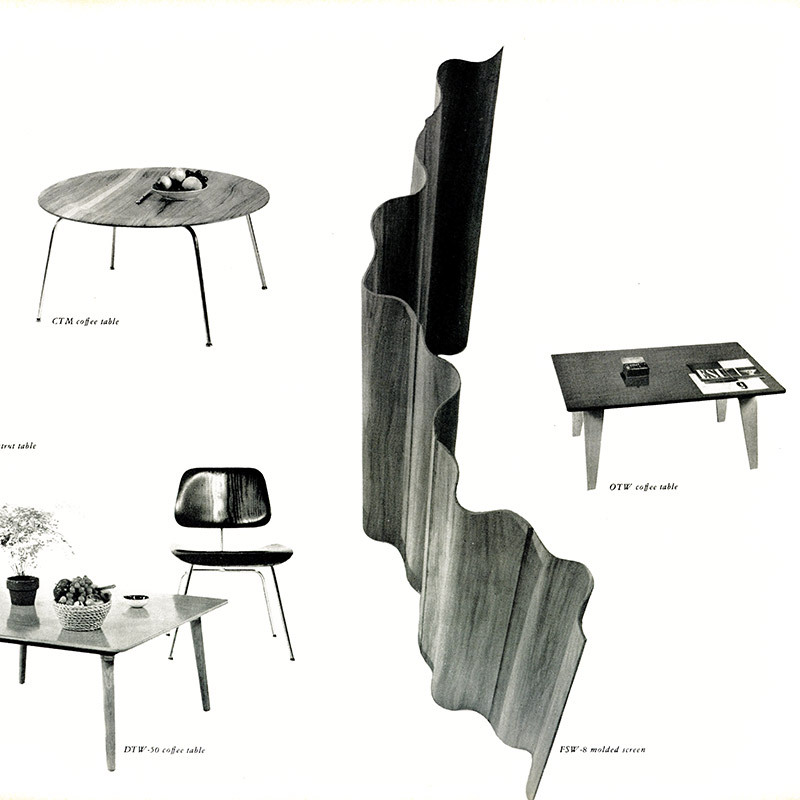 Herman Miller provided the marketing and distribution for the Evans plywood products, including the OTW, from the outset in 1946 until their role would be greatly increased. In 1949 they agreed to purchase the portfolio from Evans and Herman Miller made versions would begin in and around 1950. There is very little difference between the Evans and Miller OTW tables other than a few visible differences (outlined in the generation section) and the change of model acronym. The core of the plywood layers in all the Evans and Herman Miller products was Birch. The Eames OTW table was always supplied only with Birch legs but the top was available in Birch, Walnut or the black Formica. 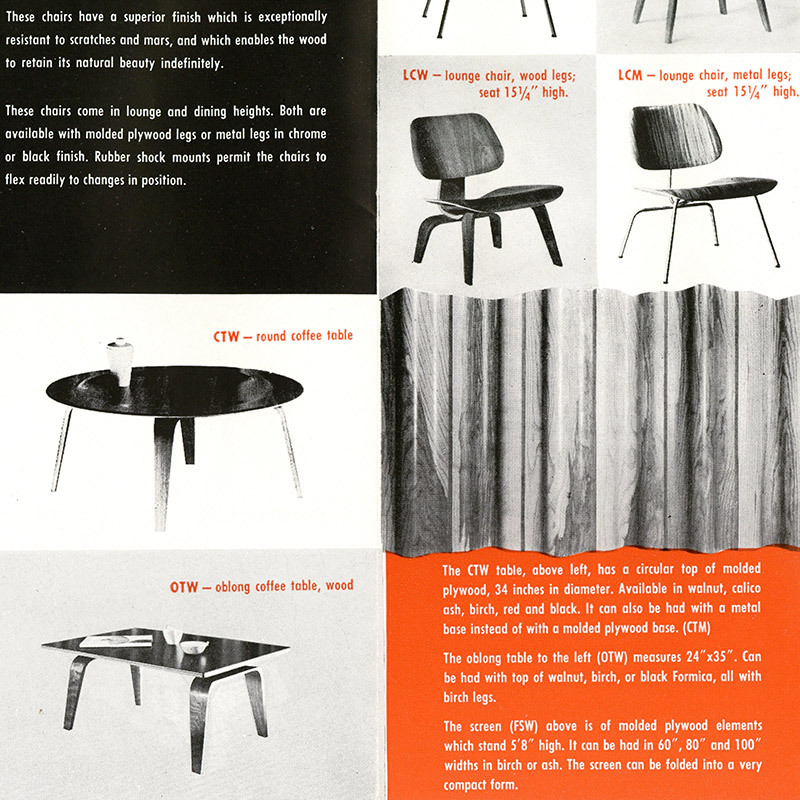 What were the original sizes of the Eames OTW plywood coffee table? The post 2001 re-issue of the OTW has an ever so slightly different dimension. The table stands at 14" high (1.5" smaller than the original), is a little longer at 36" and slimmer at 22" wide. 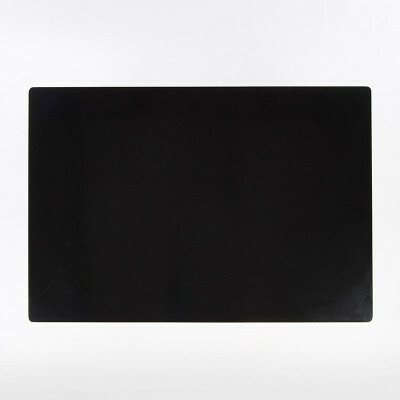 Herman Miller also make an XL version which is 48" long and 22" wide, still 14" high. The Herman Miller re-issues since 2001 have been made in a variety of differing finishes which were not available during the 1940's and 1950's, including 2 versions of white for the first time. They also made a similar black laminate and a black stain finish along with Walnut and white ash veneers. The edging of the table is also a veneer as opposed to the layers of ply seen on the vintage models. The generations of furniture products are usually accidental, identifiable only by the characteristics that can age them to a specific period. And this is the very point of pigeon holing a design, so that age can be accurately estimated which subsequently provides desirability and value. The model number CTW-1 can be seen scrawled to the underside of the table top in the center. 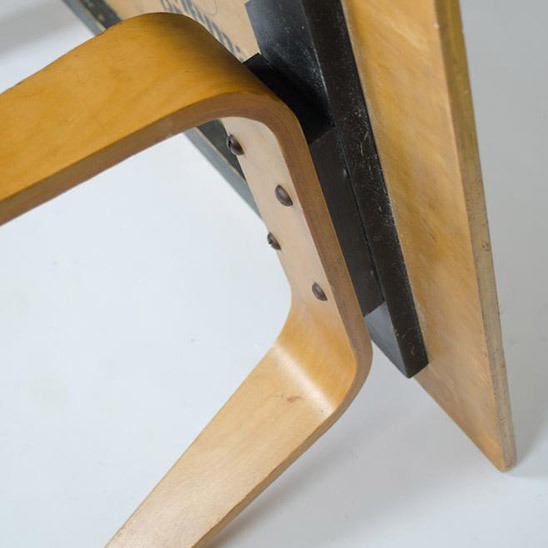 The extra hole can also be seen in the center of the 4 wood screws that attach the plywood legs to the frame of the top. The first OTW tables were manufactured as part of the first group of plywood products by Evans, in collaboration with the original Eames Office. In order to know if your OTW is indeed an Evans production you will need to look on the underside. Very few have labels, but some do but the model acronym was always written on the underside. 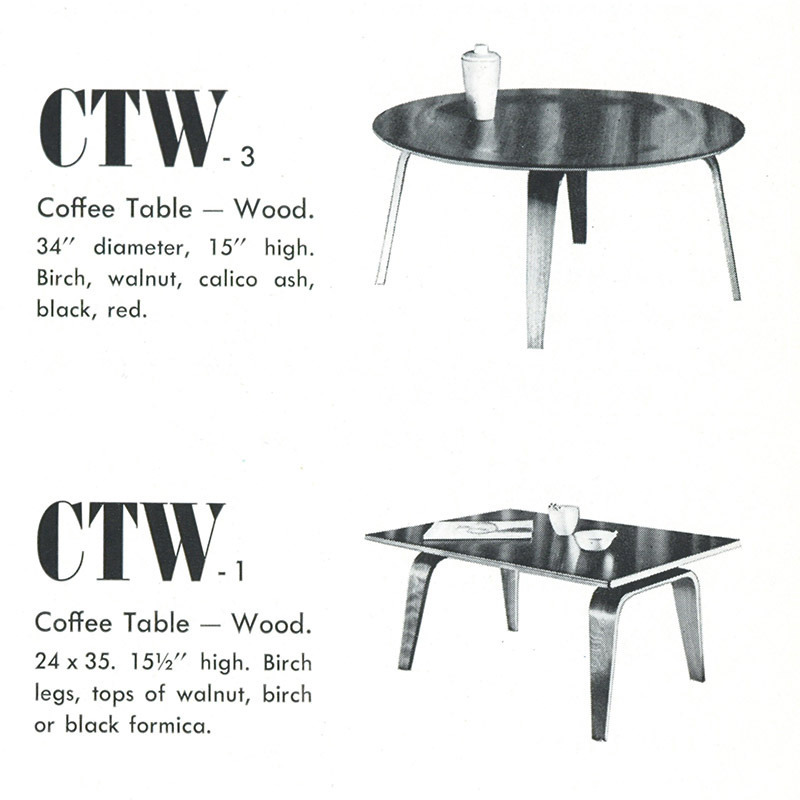 The thing to look out for is not OTW but in fact CTW-1, the original model number for Evans made tables. In addition, the Evans tables had an extra fifth hole where the legs are attached to the top frame. The extra hole is always blank and it is believed it was used to ensure correct centering. The first generation OTW (or CTW-1) was made from 1946 until 1949/1950. 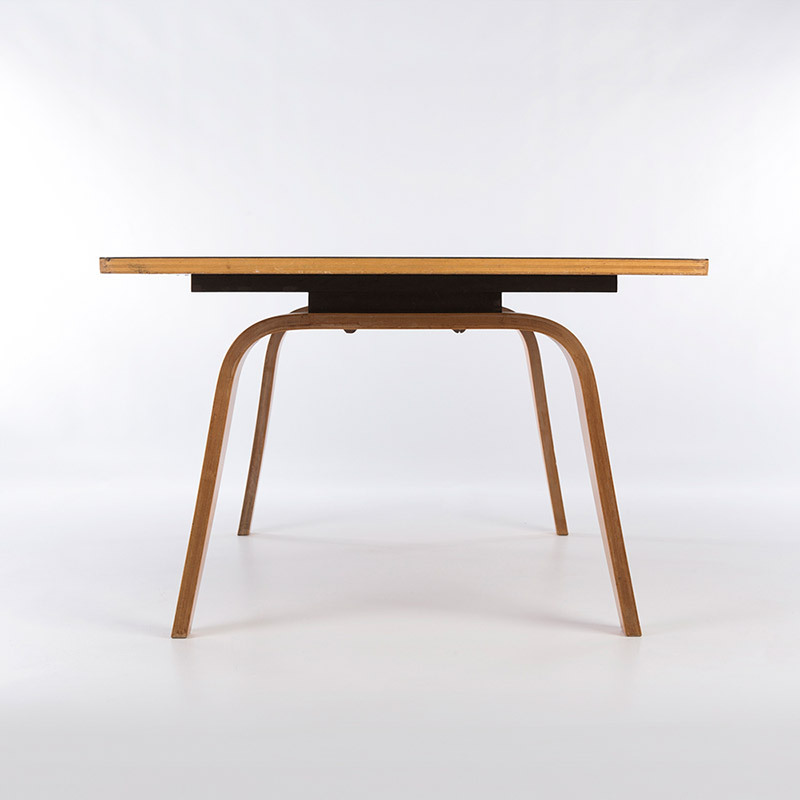 Herman Miller was the distributor for Evans made tables and then after acquiring the portfolio from them begun making the tables themselves from 1950 until 1957 when they were discontinued. Herman Miller started by tidying up the leg screw area by removing the redundant center hole. They also changed the model name to OTW (Oblong Table Wood) instead of the confusing CTW which had multiple models assigned to it. Many will also have full labels. Herman Miller also stamped the code into the black frame as opposed to writing the model although some of the earlier ones may still have this. Herman Miller released the newer generation after nearly 50 years and including two white finishes which had never been used before as well as modern veneers such as walnut and light ash. The sizes of the tables are also different. Following a near 50 year hiatus, Herman Miller re-issued the OTW in the early 2000's and (most confusingly) renamed the model CTW-1 just like the very first Evans issue in the 1940's. This latest generation was changed in size with the height being reduced slightly and the length extended. They also released an even longer version which was never available before with the vintage models. 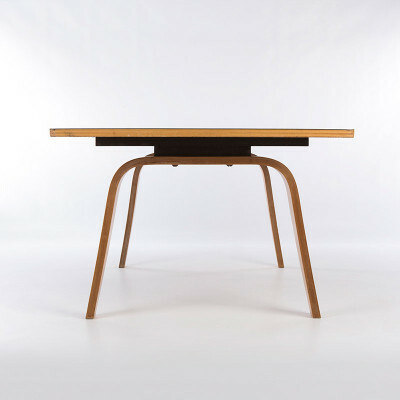 The latest generation will have a full Herman Miller label and the table uses veneer edges as opposed to the tiger-like layers of visible ply seen on older models. Is my Eames OTW coffee table authentic? What makes it valuable? 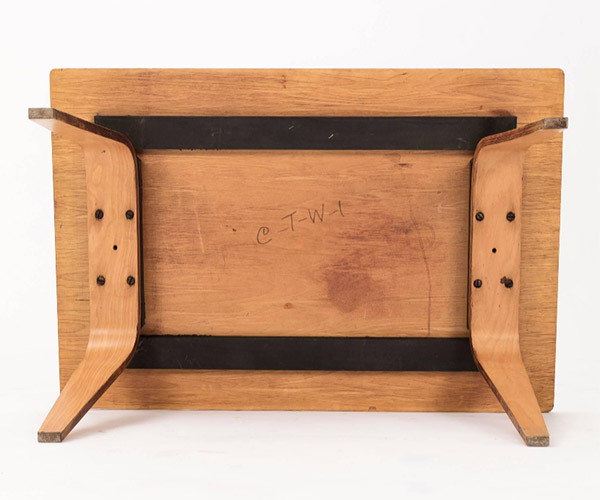 Only very rarely have the early Eames OTW tables been found with labels. Most tend to have the model number CTW-1 scrawled on the underside (if an early Evans production). 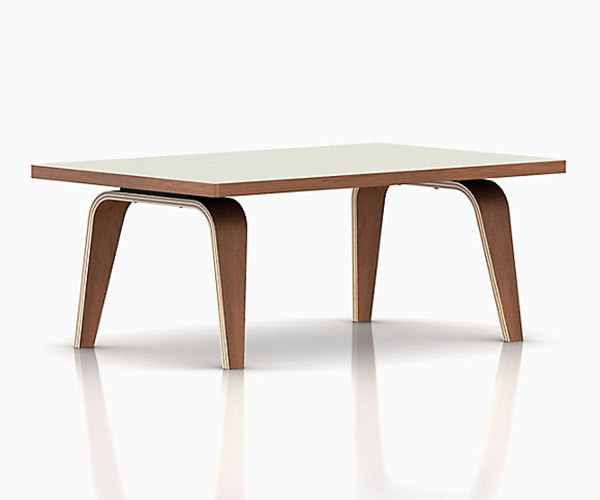 Herman Miller made tables made (1950 until 1957) will more likely have a foil, medallion or half label on them but also the model OTW impressed into the wood frame on the underside. Look for these for authenticity and to determine age. All Evans and Herman Miller tables were only made with Birch legs, any other color is a potential red flag but there is always the possibility the table could have been re-stained or varnished at some point. But the distinctive golden hue of the Birch is a good indication. 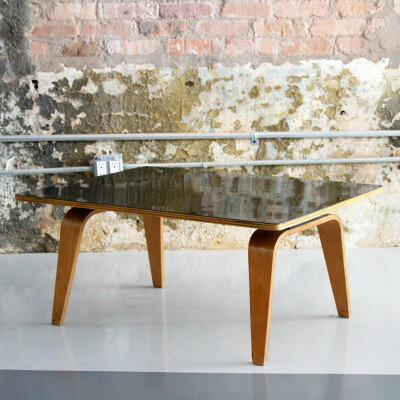 No known reproductions of the Eames OTW table exist. The early Evans and HM tables were made with the 5 layers of plywood. The newer release uses a wood veneer edging and they should be clearly labelled so there is little chance of confusion between the older and newer versions. Age will influence the value. 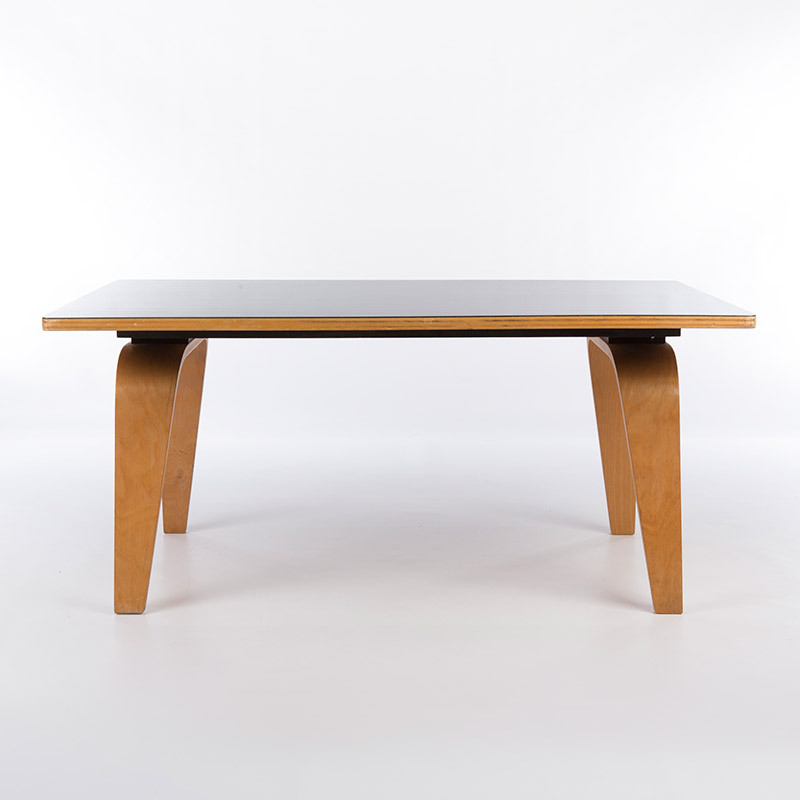 The Evans made tables will be the most desirable and yield the highest value, followed by the Herman Miller made tables. Then of course it comes down to the condition. Like all plywood tables, the edges are susceptible to damage so check them for dinks, repairs or chips and any lifting in the ply layers. 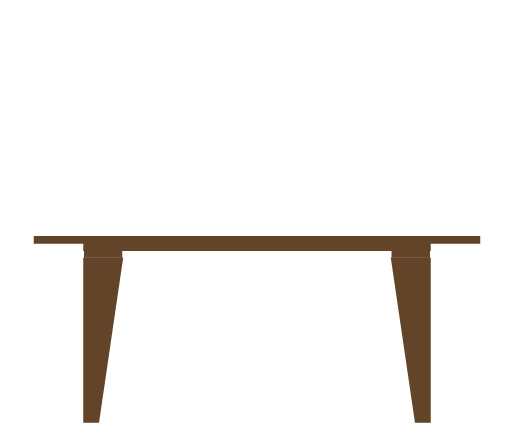 Check the surface for damage, marks, scratches and cup marks often found on tables.